As a society, we must take this incident -- appearing in the public consciousness during our #MeToo moment -- as an opportunity to have some painful, nuanced conversations. When your opponent has $10.4 million in fundraising money and you only have $675,000, you have to get creative. This is the predicament of California State Senate President pro tempore, Kevin de León, who is challenging Dianne Feinstein (D-CA) from the left in her bid to return to the U.S. Senate seat she has held since 1992. Leading up to the June 5 California primary election, Mr. de León’s volunteers have launched a historic #AudacityOfNow social media movement to amplify the voices of young progressives taking a stand for positive change in their communities. On a volunteer basis, a brand-new social media platform called Amp.it,is helping the de León campaign put the power in the hands of the people to say what matters to them. 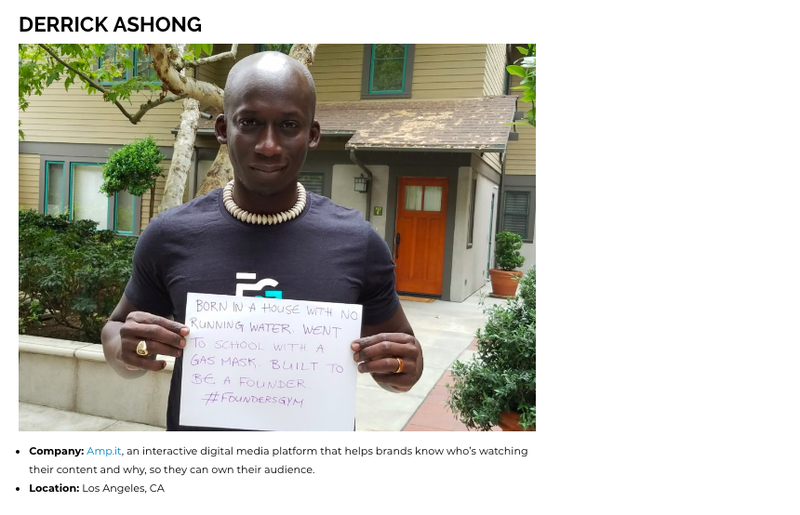 Today we’d like to introduce you to Derrick Ashong and Lucia Brawley. Derrick: My co-founder Jonathan Gramling and I got the idea for Amp.it when Soulfège, the band we started at Harvard together, charted #4 in my home country of Ghana, right behind Beyoncé. Our video aired in more than 50 countries, reaching more than 100 million people. The problem was that we had no idea who was watching… and neither did Beyoncé. We realized the entire industry was flying blind. And, we figured we could do something about that. I’d done Ph.D. research at Harvard on how principles of Open Source software could apply to content promotion, so those ideas influenced us, as we considered how to create a technology that could put fans and artists into a direct relationship with each other, removing the middleman. During Obama’s first presidential campaign, we met an actress and political organizer at a fundraiser we played. That was Lucia Brawley. It turns out, she had gone to Harvard, too. She suggested finding a way to automate grassroots organizing principles to press fast-forward on movement building for content creators. She became the third co-founder of Amp.it, not to mention my wife and the mother of my kids. Through my friend, digital media exec Jesus Lara, we met our fourth co-founder and CTO, Esteban Robles Luna, a PhD computer scientist from Argentina, who was the lead engineer on LinkedIn’s Influencer program, as well as a Google alum and one of the early engineers at MuleSoft, which was just acquired by Salesforce. Lucia: The co-founder of Second Life and former head of mobile at Facebook, Cory Ondrejka, invested the seed money for us to launch the alpha version of the Amp.it platform in January of 2015. Believing in the power of the tech, we decided to create our own first client and set out in early 2015 to produce an original proof-of-concept digital series, “Take Back the Mic: the World Cup of Hip-Hop,” with a global brand partner that our advisor, a marketing CEO, Kazumi Mechling, had brought on. In the eleventh hour, the brand backed out, due to falling stock prices, and we were like how are we going to shoot the series? Faced with the unthinkable possibility of failing before we’d even begun, we kicked off an impromptu IndieGoGo campaign. Derrick, his sister, Nana Ashong, who’s an experienced producer, and a cameraman, got on a plane to Medellin, Colombia to shoot with artists there, as well as in Jamaica, and Brazil. All the artists had been 100% chosen by fans on Amp.it. We didn’t turn on the cameras until fans told us who they wanted to see. The team had no return tickets, so I was home with our babies continuing to crowdfund money to get them back to the States. Six months later, “Take Back the Mic” got its first of two Emmy nods for Outstanding Interactive Program — the first ever for a 100% fan-curated series. 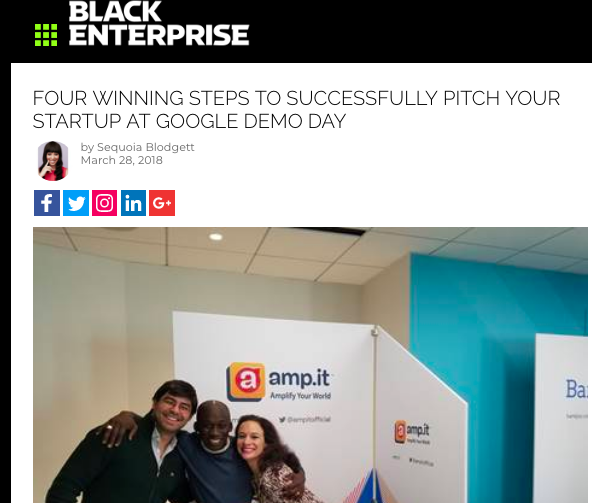 We started working with big brands to help them understand their audiences and have just returned from Google Demo Day, where we were one of 11 startups in the western hemisphere selected by Google to present for Silicon Valley’s top investors. Has it been a smooth road? TO READ MORE, CLICK HERE. She's No Diva, FLORIDA REALTOR MAGAZINE (print version) and Lucia Brawley: Bringing Star Power to a New Career, FLORIDA REALTOR MAGAZINE (online version) were both written by Tracey Velt.